WELCOME TO OUR WEBSITE!!! We are very excited to have the opportunity to communicate with you about our awesome 501c3 rescue. You must be aware of the statistics related to animals who end up in animal shelters across this country. It is estimated that approximately 2.7 million cats and dogs are euthanized in shelters every year. That equates to roughly 7400 animals a day that are being put to death in the United States alone. 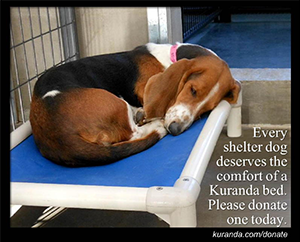 Some shelters in the US even use gas chambers to conduct this deed. There is a huge movement in this country to move to no-kill shelters and we pray that one day this will become a reality, but until then rescue is a valuable tool to help shelter animals find new homes. Our goal is to help as many as we can and with your help that goal is made easier. PLEASE visit our available pets page to see who we have available for adoption and feel free to contact us with any questions. You can fill out an application to adopt or foster via our website or download the form and email it to us. We'd love to help you find the perfect companion, so if you don't see what you are looking for please shoot us an email. We work with a large group of rescues and would be happy to recommend another reputable group who might have an animal in need who fits your desires. Thanks so much for considering rescue!! cOME OUT AND SEE US AT THE 8th Annual Pints n' Paws Craft Beer Festival! Located in beautiful Historic Downtown Sanford (in between West End Trading Co. and Celery City Craft), Pints n' Paws Craft Beer Fest Sanford, FL is a craft beer festival that you bring your dog to. Enjoy a multitude of beer, interact with other pet lovers. When you buy select Bissell products, you can help contribute to our rescue! Please use this link to visit their website for more information. Thanks!